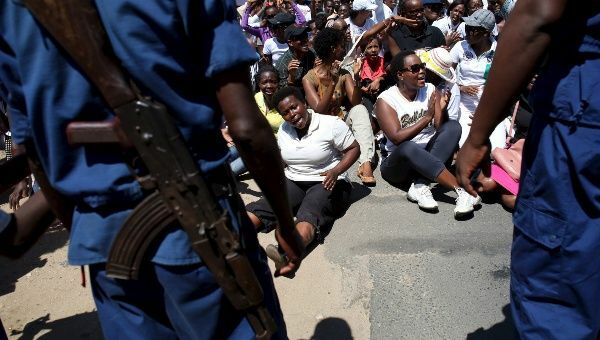 Burundi's embattled President Pierre Nkurunziza agreed on May 20 to postpone parliamentary elections, but refused to change the date of the presidential vote. Parliamentary and local elections were moved back from May 26 to June 6. However, the contentious presidential vote remains scheduled for June 26. The new British Conservative government has launched an ultra-conservative political agenda that could unravel the peace process in six counties in Ireland's north still claimed by Britain. Tory plans include scrapping the 1998 Human Rights Act, which underpins a key aspect of the 1998 Good Friday Agreement. The GFA peace deal included a measure that Britain integrate the European Convention of Human Rights into law in the six counties, a process included in the Human Rights Act. 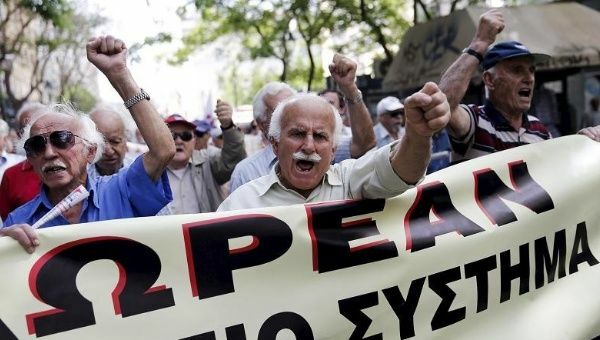 Greek pensioners joined the march for a better healthcare in Athens. “Almost a third (33%) of the UK population - 19.3 million people - fell below the official poverty line at some point between 2010 and 2013, according to figures released by the Office for National Statistics,” the Press Association reported on May 20. The article said “The ONS records someone as being in poverty if they live in a household with disposable income below 60% of the national average, before housing costs. Persistent poverty is defined as being in poverty in the current year and at least two of the three preceding years. Britain's May 7 general elections, in which the Conservative Party won an outright majority, produced a couple of silver linings on a very large black cloud. One was the success of the Green Party of England and Wales. While the party did not sweep into Westminster, it made progress politically and in terms of votes. As Nepal struggles to revive from the catastrophe caused by the April 25 earthquake that registered 7.8 on the Moment Magnitude Scale and its aftershocks, Latin America's socialist governments are busy soothing the wounds of the Nepalese people. The orange-coloured team of Venezuelan aid workers and white-coloured medical team from Cuba have brought to the people of Nepal the spirit of Argentine-born Cuban revolutionary Che Guevara and Venezuela's late revolutionary president Hugo Chavez. Popular left-wing activist activist Ada Colau has won Barcelona's May 24 mayoral elections. Running on the ticket of Barcelona Together, which united several left groups and grassroots activists, Colau came first with 25% of the vote. Condolences and tributes to legendary revolutionary and champion of women’s rights Nora Castaneda have been pouring in from across Venezuela after news of the activist’s death on May 16. An economist, university lecturer and much-loved revolutionary, Castaneda is renowned for having founded and presided over Venezuela’s internationally celebrated Women’s Development Bank, “Banmujer” since 2001. She was also one of the chief protagonists of Venezuela's working-class women’s movement that emerged in the 1980s. More than 300 migration experts and academics have condemned the European Union's plan of military intervention against the surge of smuggling boats heading to Europe across the Mediterranean Sea. The academics’ strong condemnation of the plan comes after Italian Prime Minister Matteo Renzi compared the current migrant crisis to the 18th and 19th century slave trade. In a recent article for the New York Times, he wrote that “human traffickers are the slave traders of the 21st century, and they should be brought to justice”.